Presidents of Azerbaijan, Kazakhstan, Kyrgyzstan and Turkey welcomed the increased cooperation between the Turkic-speaking countries in the declaration adopted at the third Summit of the Cooperation Council of Turkic-Speaking States in Gabala. The heads of states welcomed the improvement achieved so far in cultural field. The CCTS Secretariat was instructed to start preparations for the first Turkic Universiade with participation of Council Members as well as other Turkic Speaking States. 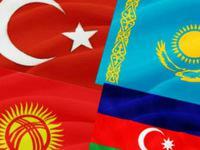 Heads of Azerbaijan, Kazakhstan, Kyrgyzstan and Turkey expressed satisfaction with the increase of trade and investment volume among Turkic Council Member States and stated their commitments to support endeavours and activities to this end. They supported the active participation of private sector in the relevant Working Groups of Turkic Council and called for support of Turkic Business Council to facilitate economic cooperation among its Mmeber States. The heads of four states also welcomed the report of the First Meetinf of the Ministers pf Transport of the Turkic Council held in Baku on July 3, 2013 and the signing of the Joint Cooperation protocol on Development of Transport and the Memorandum of Understanding on Sister Seaport Relations and Cooperation among the ports of Aktau, Baku and Samsun. The sides also urged the relevant authorities to work for increasing the efficiency of utilization of existing infrastructures among the member states in order to enhance the capacity of transportation in the region. 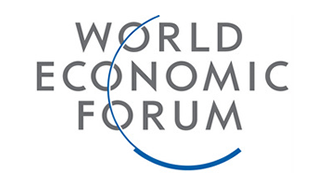 They also noted the importance of Central/East-West Corridor connecting Central Asia to Europe via Caspian and Marmara seas through Azerbaijan, Georgia and Turkey, the main element of which is the Baku-Tbilisi-Kars railway, adding that the Silk Way project will be the shortest, safe and cost-effective way. The Presidents welcomed the establishment of the Working Group on Customs aiming to enhance customs cooperation amongst Turkic Speaking States and the conduct of the First and Second Meetings of the Heads of the Customs Administration. The necessity was highlighted to intensify efforts for facilitation of the passenger and freight transportation and increase the transit potential. The parties also welcomed the initiative of the Secretariat to start the project of the cooperation amongst Turkic Speaking States. The foreign ministers were instructed to continue consultations on international issues of common interest under the auspices of the Secretary of the organization on a regular basis. An appeal was voiced to continue consultations on security issues. The presidents also urged to support the candidacy of their countries in international organizations, including the UN. A meeting of foreign ministers of the Turkic speaking states was held on the eve of the summit. The summit's agenda and cooperation prospects within the organization were discussed during the meeting. The Council was established in 2009 by the Member States - Azerbaijan, Kazakhstan, Kyrgyzstan and Turkey - with a purpose to make a joint contribution to peace and stability in Eurasia. The organization's secretariat is located in Istanbul. The city of Gabala is situated in the north of Azerbaijan, in 220 kilometres of the country's capital Baku.